Not the most thrilling of posts, but this one's mainly about what I received in the post today! Rookie is due to be an online magazine (there's a countdown to its launch on the website!) but my fellow blogger and BCU'er Laura was kind enough to send me a free copy ahead of the launch. 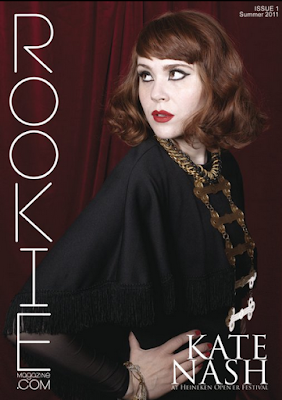 Also an aspiring journo like myself, Laura's done so well to land herself the role of Fashion Editor at Rookie. ** Job hunt update- promising stuff for a position as Social Media Assistant for a start-up fashion company (similar to ASOS apparently!) and I also have an interview for a Revolution bar! Not the media dream but it's a job nonetheless. Anyway, I was really keen to read Laura's fashion pieces because she's an amazing fash writer (she wrote a piece on vintage shopping for me which was printed in Trashion). The magazine contains lots of fashion stuff which was good to see! You may also notice a rather lovely ring I'm sporting in the second picture; is it an Arty you ask? Of course not! I call it my 'farty' ring! (fake + Arty, geddit?). It's a pretty good copy to be honest, well worth £15 from eBay. I decided to get it after seeing one in a post from Kavita's i heart vintage blog. When the YSL ring first hit the scene I scoured eBay (and everywhere else) for a copy- hey, I'm not paying over £100 for a ring that ain't even gold and tries to pass off glass as a real stone! Though it seems that now they've been around a while there are loads of fakies cropping up. It's all good for a brassic graduate like me! 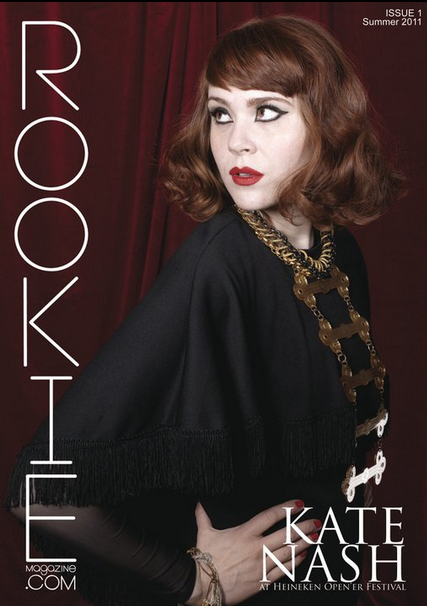 Wow, I never would have thought that was Kate Nash - she looks brilliant! Oooh, the ring's gorgeous! Definitely a great replica. You look great ( I like your effortless look) and I love Ms Nash. Really love looking at those magazines, Great ring, loving the 'farty' look!